As we return from Spring Break, I hope that everyone is rejuvenated and reenergized to finish our year strong. Over the break our Winter Guard finished their season strong! After being bumped up a classification only two weeks before championships they still finished 4th and out scored many groups who were in the Scholastic A division all season! If you see any of our Winter Guard students, please congratulate them and let them know how proud you are! I hope that everyone has had a restful Spring Break as we prepare for the final stretch of the school year! As always, there is a lot going on. I hope that you are ready to finish out strong! 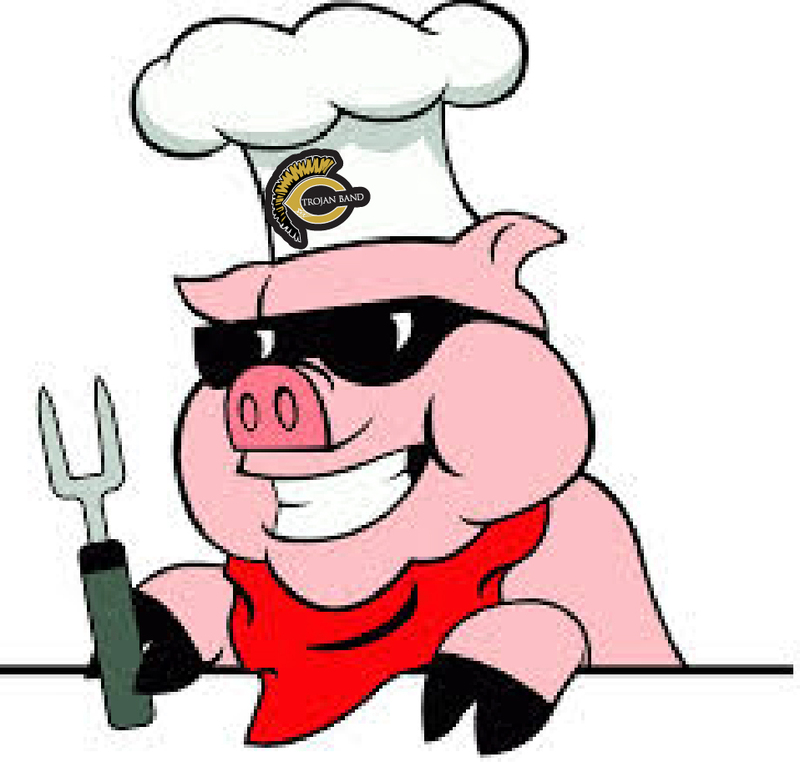 Monday: Jazz Band 3:00pm – 4:00pm (Preparing for the Barbecue Performance) All jazz band members should attend. Leadership Clinic: 3:00pm – 5:00pm (Either attend Jazz Band or complete your leadership task – to be assigned via classroom.) We will pick back up at 4:00pm to continue as a group. Thursday: The recital scheduled for this day has been rescheduled for May 2 at 6:00pm. This will give our students a few more days to prepare their performances. Friday: Jazz Band 3:00pm – 4:00pm. Please continue to check the calendar often as we have many important dates approaching quickly. For instance, our Spring Concert is next Tuesday and the Band Banquet is only a few weeks away. The barbecue will be here before you know it so please continue to publicize and sell, sell, sell! Let’s make the most of what we have left of our school year to be sure to make it the best it can be for all of our students, but especially our seniors! Posted in CHS Band on April 10, 2016 by CHS Trojan Band. The Trojan Band Staff unveiled a huge and unexpected surprise to students this morning as they announced that the Trojan Marching Band would be getting all new uniforms in time for the upcoming 2016 marching season. 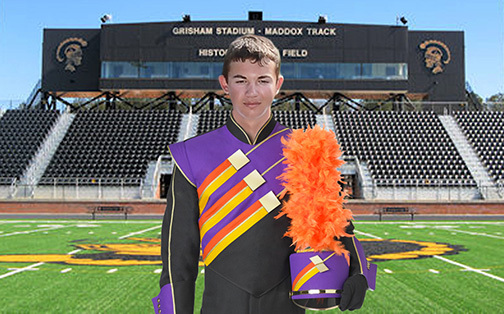 When asked about the bold change, the staff acknowledged that the new uniforms were a departure from the traditional black and gold fare that most Trojan faithful are used to, but that they truly felt it was time for a bold statement in the life of the band and that the new uniforms represented the beginning of a whole new era. The new design was a collaborative effort and involved weeks of research, modeling, and trying out different options. The staff went on to say that the best part of the whole process was how well they kept the secret; absolutely no one knew anything about it. Now while we have your attention, please remember that tickets are now available for our annual Band BBQ. Tickets can be purchased from any high school or 8th grade band parent, student, “or” at the Carrollton High School Band Room. Ticket can also be purchased online this year through the band booster web store: https://chstrojanband.revtrak.net/ If you purchase online, please make sure to have a digital or printed copy of your receipt for pick-up. Regular tickets are available for $8.00 and provide a BBQ sandwich, chips, dessert, & a drink. Double sandwich tickets are available for $12.00 and provide two BBQ sandwiches, a bag of chips, one dessert, & a drink. In addition to a wonderful meal, each ticket sold is good for the evening band performance the day of the event, time TBA. So please, get your ticket(s) today and support the Carrollton High School Band Program! If you have any questions, you can email Ms. Dothard at: barbara.dothard@carrolltoncityschools.net or the Band Office at 770-834-0550 or the Band Boosters at: chstrojanbands@gmail.com. Posted in CHS Band, Fundraisers and tagged #trojangold, April Fools' Day, Band BBQ, Carrollton High School, Carrollton High School Band, CHS Band Program, CHS Trojan Band, Gold Standard on April 1, 2016 by CHS Trojan Band.